I was walking the wrong way down Church Street trying to find a shop I had never visited. 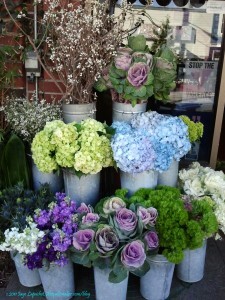 I happened upon this little flower shop and was charmed. The display is wonderful! 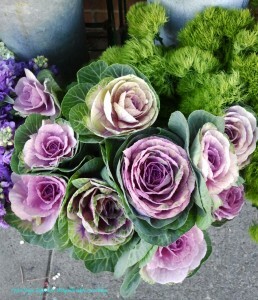 I am pretty sure (not being a plant person and all) that these are cabbages. They look like roses and I love them.